Rebecca Gregory hasn't added a story. What is the tube challenge? Becks, Phil and James will take on the challenge to travel round all the stations on the London Underground (currently 270 of them) in one day. We'll get the first train out of Chesham in the morning and aim to be back at Heathrow before the trains end having passed through every single underground station. Insanity. And well i dont think we quite realised what we were letting oursleves in for. The brightside is we can raise some money for Ousman - a very bright little boy from Gambia - who's education thinking bob sponsor. It will also make sure we finish the thing and don't jump off at Richmond! 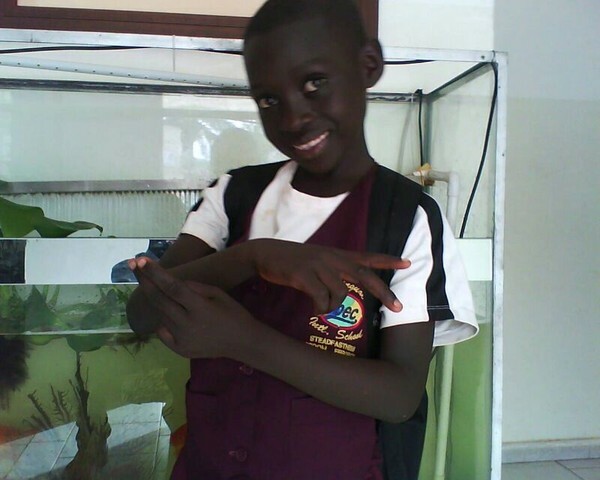 Ousman is 7 years old and lives in the Gambia. His mother was murdered when he was very young and his uncle and older brother have taken care of him since. We met Ousman In January 2013 when he was attending a very over crowded government controlled school that his family couldnt afford to keep him in and was returning home in the evening to no light or electricity to be able to do his homework. Its was easy to see that he was a very bright boy and that he showed incredible potention in maths and english. He tried everything he could to prove to us how worthy he was of sponsorship and was incredibly excited about the thought of going to a school with books and a uniform. So we offered to help. He now attends SBEC international school - hes doing incredibly well - considering he was 2 years behind when he started. We have also helped the family install an electricity meter and in the future we would like to help them with a fridge so that they can build a sustainable business selling cold juice in their neighbourhood. So, please help us get through this crazy day on the tube and encourage Ousman to keep working hard for a better future for him and his family. Rebecca Gregory hasn't posted any updates yet. For any donation over £10 - thinking bob will reward your generosity by matching your donation with thinking bob credit for you to use against any signature social. Rebecca Gregory is managing the funds for this campaign. The campaign is for a personal cause.